Especially you soon-to-be brides: Influenster is thinking of you. Peak wedding season will be ending soon, but my wedding's not until September so I was super excited to be chosen for the Influenster #IDoVoxBox curated with brides-to-be in mind. 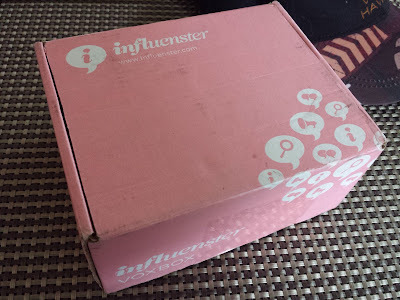 If you've never heard of Influenster, it's an online review community where you review products to unlock "badges" and connect your social media networks to increase your Impact score. The higher your score and activity level, the greater your chances of receiving a specific product or maybe even a free VoxBox containing several full-sized items for review. 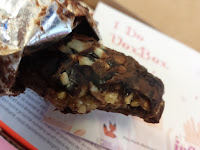 As I mentioned, I was one of the lucky ladies who received an #IDoVoxBox. When it arrived on my doorstep I admit, I was kind of underwhelmed. The box was pretty tiny compared to my past VoxBoxes. It was barely the size of a baseball cap. In Birchbox terms that's a wonderful size, but VoxBox tends to send high-value boxes loaded with tons of stuff (that might be why they're pretty hard to come by). And this is where I learned never to judge a book by its cover because looks can be deceiving. When I opened the box I was greeted by a ton of stuff ready to pop out of there. I counted seven things crammed into that tiny box! 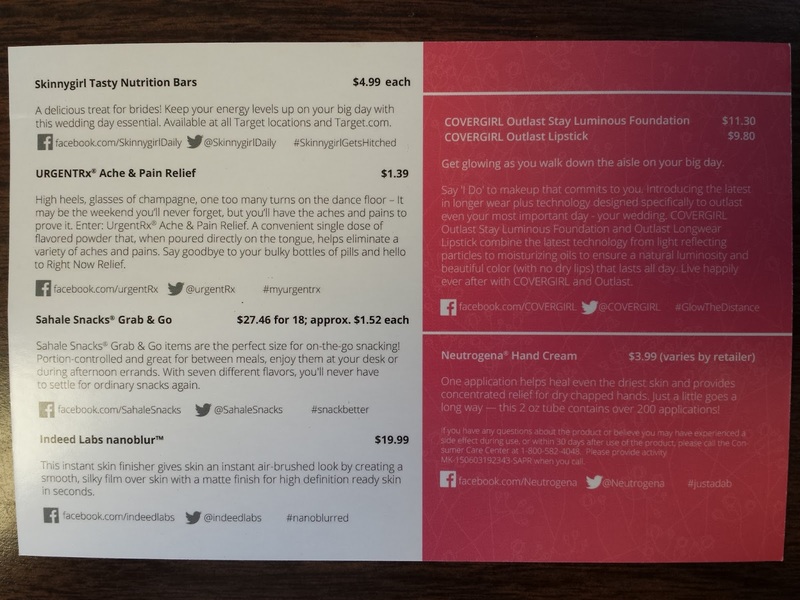 I don't remember ever getting an info card in a VoxBox but it was definitely appreciated. Okay, so that's surely not the best pic or even the best example for that matter, but the takeaway message is that yes, it did blur my fine lines. But as far as making pores appear smaller? - no. Nothing can fill in my crater pores. 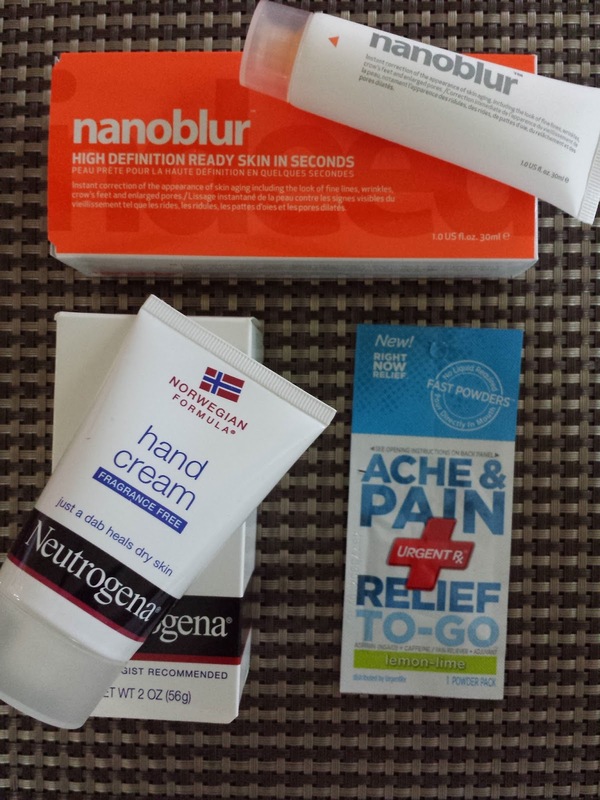 Neutrogena Hand Cream (2oz full size value: $3.99) - "A little dab will do it." That's what my kindergarten teacher taught me when using glue during arts & crafts and it's kind of become my rule for everything else. Toothpaste, gels, serums, oils. Less is more. That's also the thought behind this hand cream. All you need is #justadab so this 2oz tube should last at least 200 applications. I can't even remember the last time I counted to 200. UrgentRx Fast Powder - Ache & Pain Relief To-Go (single pouch value: $1.39) - This box arrived at the perfect time because I went a little too hard on leg day at the gym and could barely walk. UrgentRx makes powders that you dump onto your tongue for quick relief of heartburn, indigestion, allergy, etc...no water needed. One pouch is one dose, and this particular variety contains a whopping 650mg of aspirin. That's a lot, considering one Bayer Extra Strength caplet contains 500mg. But on to the important stuff: what does powdered aspirin taste like? Well, bitter. I expected that (have you ever tried a crushed tablet?...ugh). But the lemon-lime flavor dulled the bitterness quite a bit. And whatever you do, don't sniff this stuff. It stinks. Next important question: did it work? For me, no. Not at all. But I was reading reviews on this stuff and evidently everyone else swears it works wonders. If you do decide to give this a shot, I would definitely recommend taking it with a glass of water (or lemon-lime Gatorade!) if you have one handy. It'll hopefully dull some of the bitterness, plus it'll dilute the aspirin so that it doesn't hit your stomach with 650mg of concentrated drug. NSAIDs like aspirin have a wicked tendency to mess up the mucus lining of the stomach with chronic use and interfere with bicarbonate production, both which protect the stomach from acid overkill. In other words, too much NSAIDs = lesions/ulcers in the stomach lining. Yes, this means you also shouldn't take this daily if you can help it. CoverGirl Outlast Lipstick - Fireball (3.4g full size value: $9.80) - Long-lasting lipstick to survive sips of champagne, lots of smooches, and tons of delicious food on the big day. This looks coral in real life and red in pictures, though I have no idea what it looks like on. I'm still hesitant about wearing coral, though it is a nice color. I've never tried the Outlast line so I have no idea how long wearing these things are. Will it really survive me gnawing on some ribs? Because that's just what I plan to do at my wedding. I don't care how busy I'll be, I'm gonna make time for food. We chose our venue for their buffet and by no means am I missing out on it. Lipstick, do your thing and last. 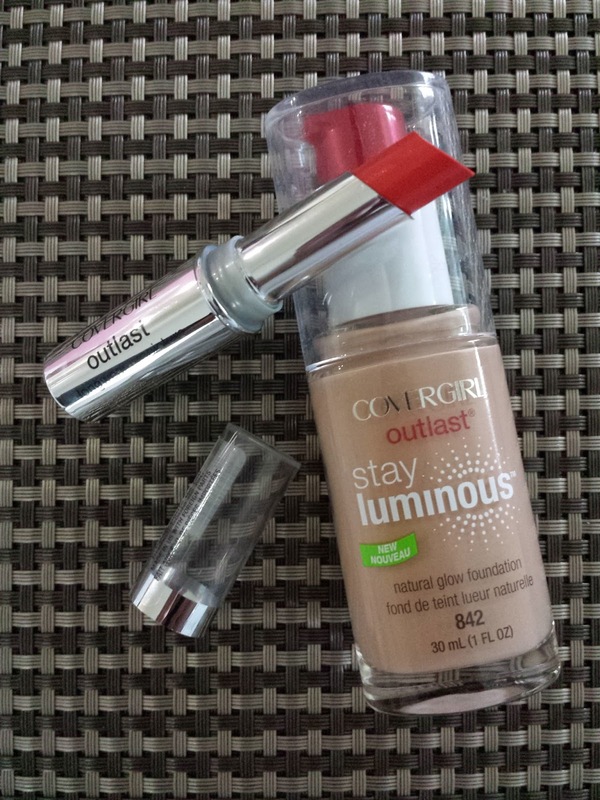 CoverGirl Outlast Stay Luminous Foundation (1oz full size value: $11.30) - This foundation is designed to make you look radiant with its light-reflecting particles. I used to go gaga over luminous-everything until I realized that even just a little bit will make me look too shiny and oily. AND make my big ol' pores stand out. Since then I've only bought mattifying foundation and it's been fine. I was going to pass this along when I saw the word luminous but realized I didn't have any liquid foundation. Since my mineral makeup just magnifies my pores I decided to try this liquid foundation even though it's not mattifying, and I was pleasantly surprised. 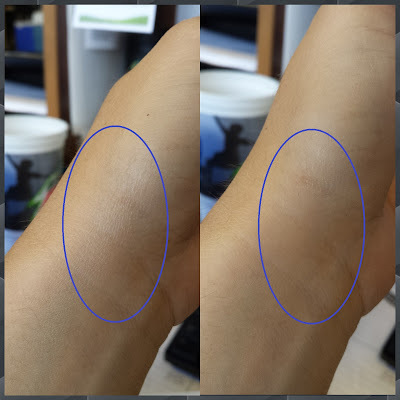 Although you can see the mica in the bottle if you look closely, once it's on your skin you don't see it at all. 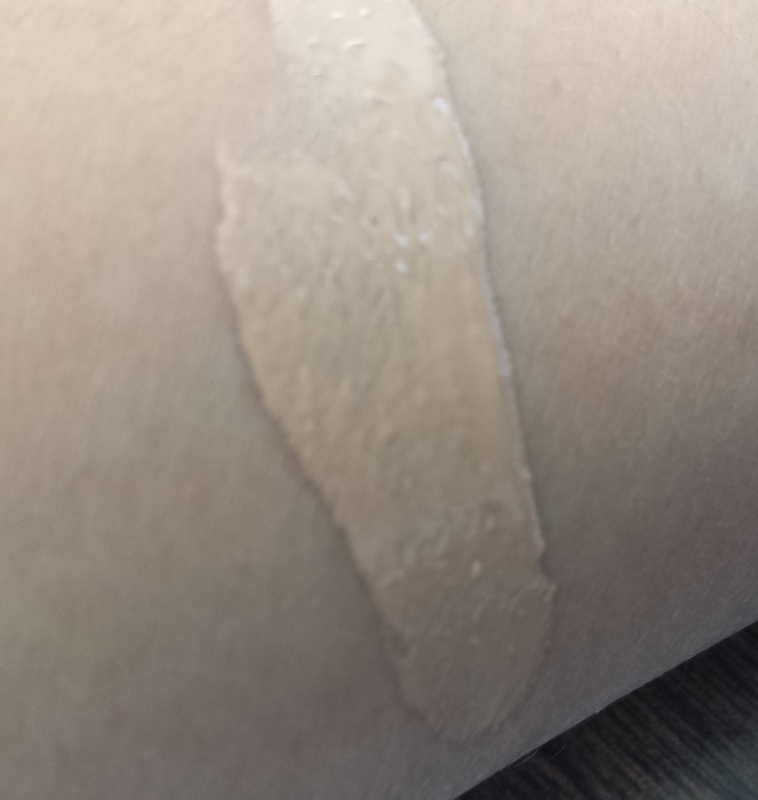 Medium beige is a perfect match for me and it didn't make me look shiny. I think I could get used to this! 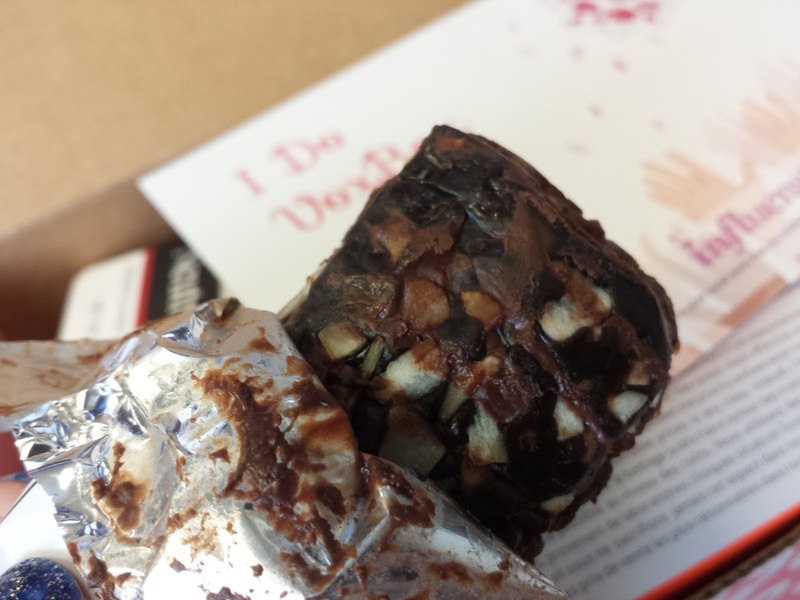 Fortunately, I'm not a picky chocolate eater and taste is more important to me than presentation. And just as I expected, it tastes just like Quaker's chocolate chip granola bars mixed with Almond Joy. Do I like it? Of course. Would I spend $5 for one bar? Definitely not. Sahale Snacks Grab & Go - Berry Macaroon (single pack value: $1.52) - I might just be out of the loop, but I've never heard of Sahale Snacks before. They specialize in trail mix-type snacks and nut bars too. I received the Berry Macaroon variety in here and...I have mixed feelings about it. It might just be because I'm not the biggest coconut fan ever. This is a rather salty mix of cashews and almonds and lots of toasted coconut balanced with the sweetness of dried blueberries and apples. I like the sweet, not so much the salty. But saltiness is to be expected in nut mixes, isn't it? I do think the $1.52 price tag is a helluva lot more reasonable than a $4.99 Skinnygirl bar, and on my wedding day I think I'd be more likely to grab a pack of nutty mix than risk smearing Skinnygirl chocolate on my white dress. 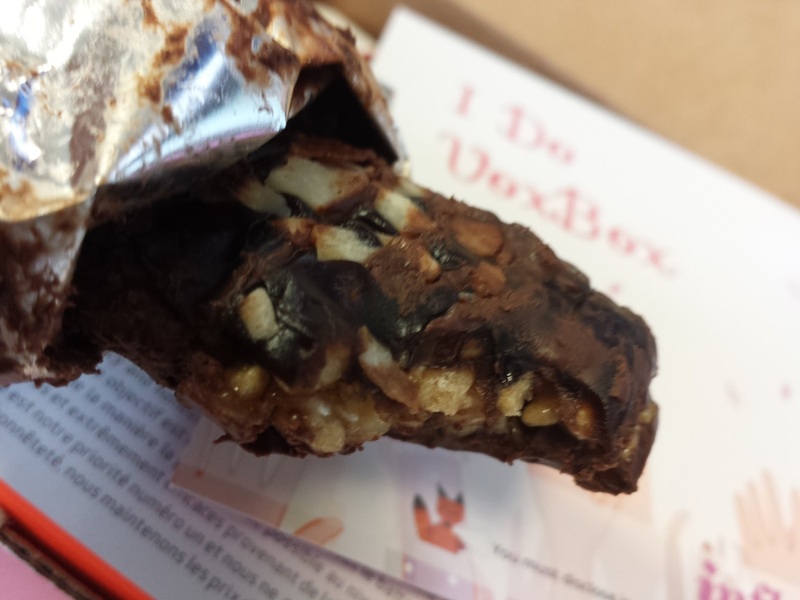 So that, my friends, is the #IDoVoxBox. A tiny little box loaded with over $50 worth of products to sample - all for FREE! And my favorite part is that these are affordable items that I can probably find at Target or any drugstore. I'm pretty impressed with the Nanoblur and CoverGirl foundation and would consider replacing my current primer and foundation with these. 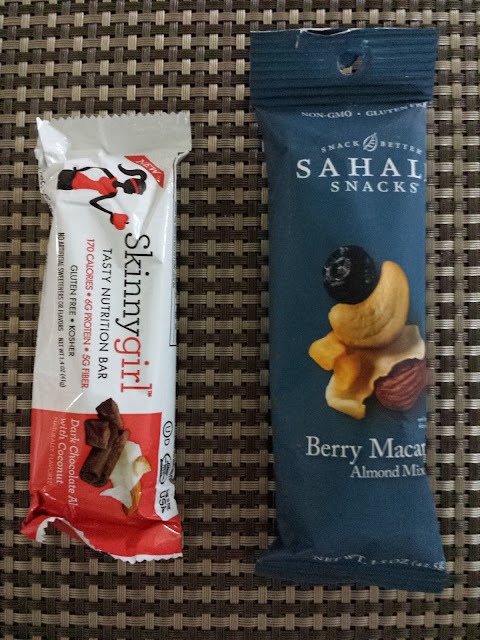 The Skinnygirl bar tastes so good and I would definitely purchase a box of em if they weren't so darn expensive :( The only thing I'm disappointed in is the UrgentRX pain reliever. I'm willing to give it another try though, so I'll be picking up a packet if I see it around. 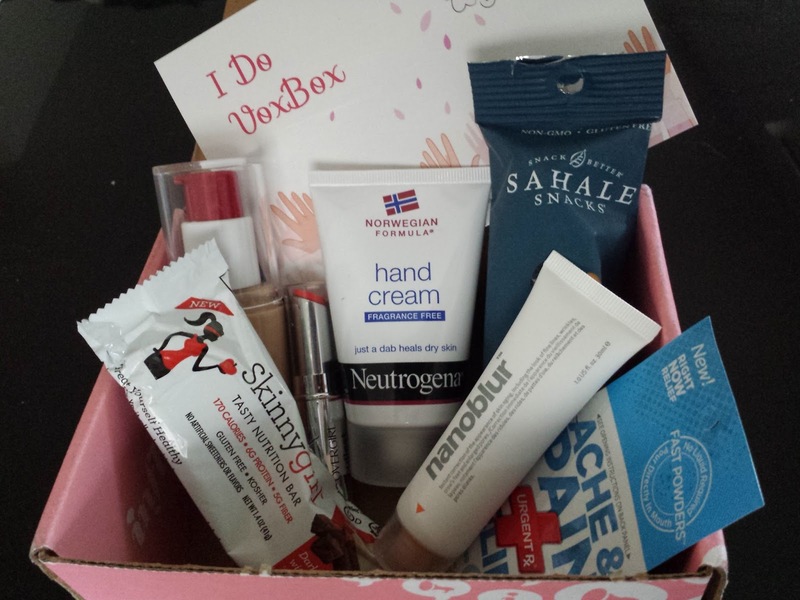 Looking at these items I'm not sure why it was called #IDoVoxBox since it didn't really have anything specific for brides. I would have been just as happy to receive one even if I wasn't tying the knot. Oh well, at least the info card tried to make it wedding-related. If you like to voice your reviews and are interested in qualifying for a VoxBox, send me your email address and I'll send you an Influenster invite (fyi, it'll boost my score a bit. Or if you want to sign up directly through Influenster you can do that too...I promise I won't be offended). It's a bit harder to qualify for campaigns than with other product-testing sites, but the products and VoxBoxes themselves are pretty fantastic! Note: I received the #IDoVoxBox for free from Influenster for testing purposes. All opinions expressed in this post are my own. Hm. This is a kind of weird box for weddings. I was expecting it to have fashion tape, 5hour energy, fluffy socks, mints or pantyhose type things. But voxboxes are still pretty fun :D. What colors did you pick for your wedding? And will Macho and Pebbles be dressed up? Ok so it's not just me, right? I was definitely expecting the fashion tape and maybe some bath salts or something. We're going with blue and silver, and I totally wanted my dogs to be our ring bearer and flower girl but the venue won't allow it. :( But we're doing a dog theme: dog cutouts for the guestbook, dog-etched glass centerpieces, and OF COURSE A CORGI CAKE!! !